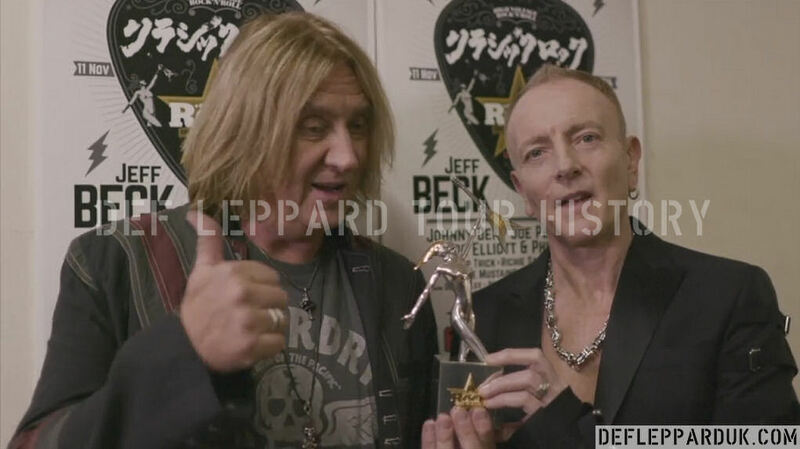 Def Leppard members Joe Elliott and Phil Collen attended at the Classic Rock Awards in Tokyo, Japan on 11th November and more video/photos are available. The event took place at Ryogoku Kokugikan Arena in Tokyo, Japan in front of 8,000 fans. Read more about the ceremony. 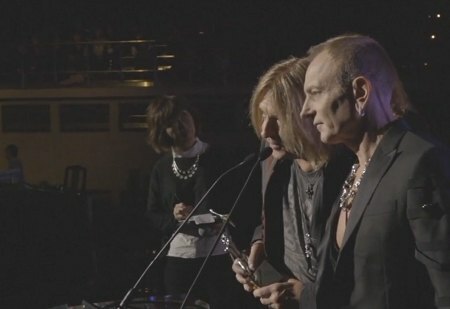 Joe and Phil accepted the Album Of The Year award for the self-titled Def Leppard album. 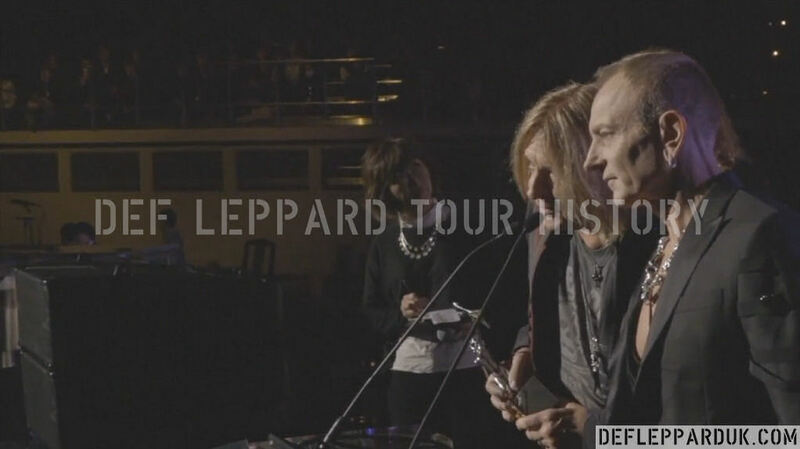 View an 8 minute video recap of the award which features interviews with Joe and Phil and clips of the acceptance speech. Joe talked about the award on his radio show over the weekend. A photo gallery is also available on the TeamRock website. 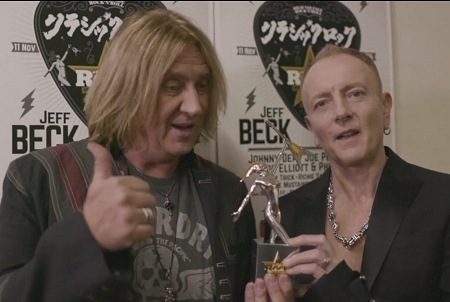 Joe Elliott - "And there's a few people that have left us this year so we'd like to dedicate this to Lemmy. To Dale Griffin from Mott The Hoople and to David Bowie. Cherish your heroes, you'll miss them when they're gone." 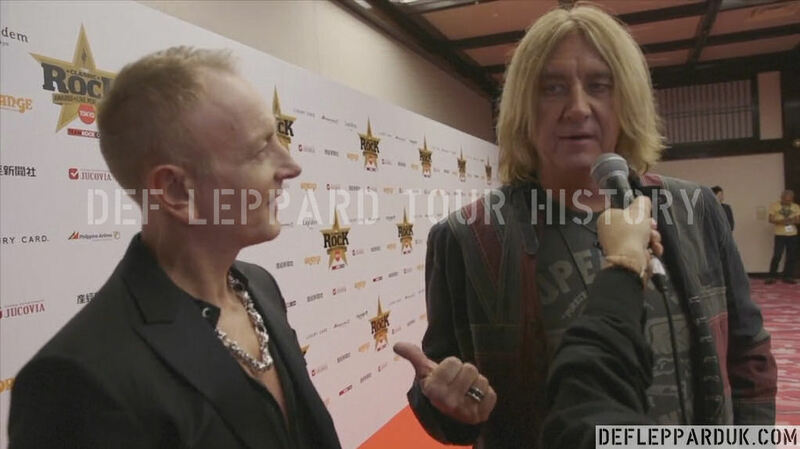 Joe Elliott - "Yeah me and Phil first came down here to do promo in '83. And that set the tone really then the band came back and we did shows. And we went from theaters to arenas and it just stayed. They've been ever so faithful to this band and it's beautiful to do the awards here. It just takes it to a completely different level that they're not in the Roundhouse, they're not in a brewery in London. They're in Tokyo!. It's crazy you know and it's really good fun." Joe Elliott - "It's brilliant. It's amazing. The important thing for us with this is it was voted by the readers. Not picked by a panel and that means the world to us so thank you very much everybody who voted for us."